Passionate about potatoes? Look no further! A tomato base with unrivalled texture and taste. Ideal as a side dish or main meal, those who are sensitive to chilli heat will love this! 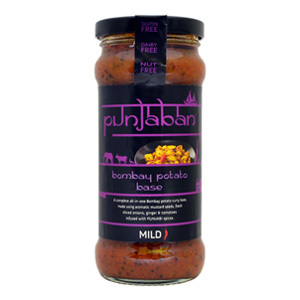 A sprinkle of mustard seeds creates the perfect match for Bombay Potatoes. Why not try this with cauliflower, spinach or even scrumptious salmon?